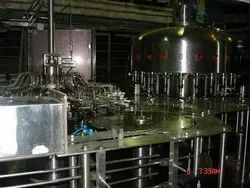 Prominent & Leading Manufacturer from Ahmedabad, we offer automatic rotary bottle washing machine, hdpe bottle filling machine, induction cap sealing machine, liquid filling syringe, packaging machinery and packing conveyor belt. We are manufacturing Automatic Rotary Bottle Washing Machine with an output speed of up to 250 Bottles Per Minute and are exporting to Bangladesh, Pakistan, Japan, Nepal, and Oman. Please do contact us for further information. We are the manufacturer of HDPE Bottle Rinsing Filling and Capping Machine. 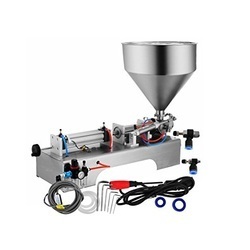 We are manufacturing Induction Cap Sealing Machine for Leakproof Packing. Tamper Proof: It is not possible, from production to the Consumer that the content of the product is manipulated without being clearly noticed. Product Freshness: The taste and aroma of the product remain intact due to the hermetic seal. Protection against Leakage: There is no spillage or loss of contents of the product. Sales Promotion: The foil on the inside can be used for advertising or promotional purposes. 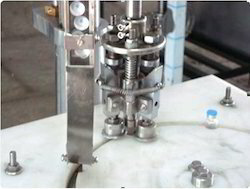 Maximum Filling Speeds: The sealing takes place without any direct contact which allows the full potential of the filling plant to be utilized. Indirect Heating: Induction heating allows heat sensitive products such as creams, petroleum product, pesticides. to be sealed faster and safely than direct heating which would normally spoil or catch fire. IGBT Technology: IGBT's are more reliable and efficient at higher line speeds. We are manufacturing all types of Liquid Filling Syringe. This Syringe used for Filling Injectable as well as other liquid. We are having a range of 0.2ml to a 10ml syringe for Injectable Production Department and 10ml to 500ml Syringe for other Filling Mechanism. 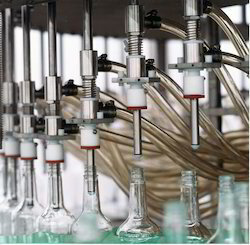 All syringe is manufactured in CNC Machine for accurate precision as well as good filling accuracy. 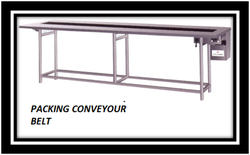 We are manufacturing Packing Conveyor Belt from 4 Feet to up to a requirement of Customer with Customized Solutions. Complete SS Structure with PVC Belt. 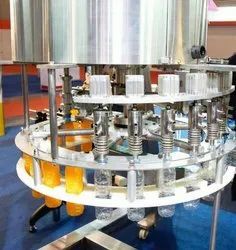 We are the manufacturer of Pharmaceuticals Packaging Machinery for Vials, Bottles, Ampoules, Pre-Filles Syringe from Washing to Labelling Machine with futuristics packaging solutions. Automatic External Ampoule Washing Drying and Labelling Machine. 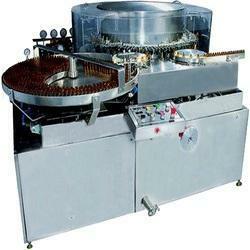 We are the manufacturer of Automatic Rotary Filling Machine with Advance Technology and Futuristic Automation. 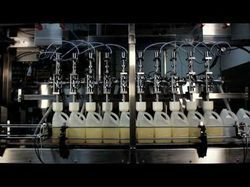 We specialize in offering superior quality Viscous Product Filler and ointment filling machines which are made of premium quality raw material and designed to perfection. Our range of cream filling machines and ointment filling machines is the automatic piston type ointment filling machine which is rational in design, small and exquisite in the model, the pneumatic part adopts the pneumatic components. Our cream filling machines and ointment filling machines are renowned to provide hassle-free performance in a cost-effective manner. We are a trusted name in the industry for manufacturing Mineral Water Bottle Packaging Machine for our valued customers. 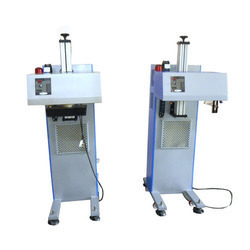 The offered machine is made in tune with the international standards for offering the best to the customers. It is used for rinsing, capping and filling bottles in the mineral water industry. This machine helps in decreasing the downtime of work and ensures filing of water under strict parameters of hygiene. We are manufacturing Ampoule Filler and Sealer of below mention model. 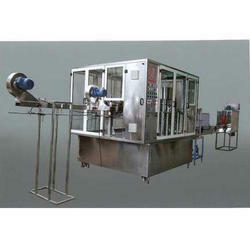 We are the most experienced manufacturers, suppliers of Automatic Milk Filling Machine. The most innovative techniques are used in this machine made us the first choice for most of the buyers. Fully automatic, this machine is highly functional and can be used to fill free-flowing products like milk, buttermilk, and water. The volume of the dosed product could vary depending on the containers in the range of 0.1 to 10.0 L for bottles and up to 20 L for tubes and cans. 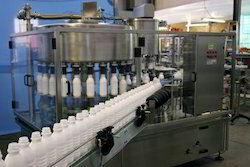 Depending on the containers the line could be equipped with unscramblers, 2 or 3 different capping machines and a combined labeling machine for the body, back and collar label. The labeling is followed by a robot for group packing of the products in thermo-shrinkable foil with or without cardboard pads or packing in cardboard boxes. The effective capacity range that we cover with the different line configurations available is from 2000 bps to 24000 BPH, which makes the INDEX-6® equipment competitive over a wide range. We are manufacturing Edible Oil Filling Machine please find below its features for your kind reference and consideration. Each spiral pump is driven by an individual variable speed AC motor for high accuracy of liquid filling. The digital setting allows different filling volume adjustment easily. 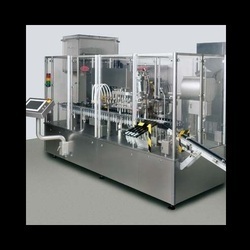 The diving type filling system prevents spillage during the filling process. We are manufacturing Rotary Mineral Water Filling Machine to fill 200ml to 2000ml Water without any help of Change Parts. We have supplied this machine to Turkey, IRAN, Isreal, Kuwait, Oman, South Africa, Egypt and Uzbekistan please do contact us for further information about machinery. 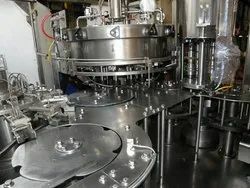 We are manufacturing Automatic Rotary Olive Oil Filling Machine for Pet Bottles as well as Glass Bottles. 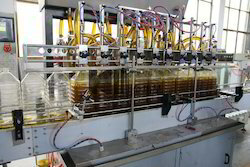 This machine is having provision to Wash bottles fill Oil and Labelling the same with PLC Automation. Please do contact us for further information. 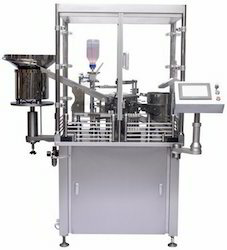 We are the manufacturer of Fully Automatic Syringe Filling and Stoppering Machine we have exported this machine to Middle East Asian Countries, Pakistan, China, Iran and South Africa. 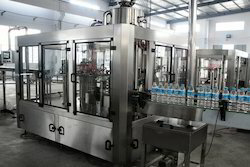 We are manufacturer Automatic Pre-Filled Syringe Filling and Closing Machine for filling Injectable Liquid. In this machine we can fill from 0.02ml to 10.0ml with the help of Change Parts (Syringe) Filling will be done with the help of Syringe and Steering will be done through vaccumatric System. We are the Manufacturer and supplier of Packaging Machine 60 BPM. After manufacturing and supplying the highly appreciated Mineral Water Packing Machine, we have become the leading manufacturers and suppliers to export mineral water packaging machinery to European countries. 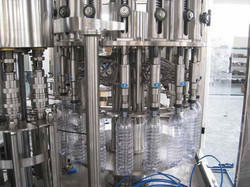 This machine is ideal for mineral water packing, but can also be used practically for other carbonated drinks. We have used the highest quality of raw material to make it durable for our clients. 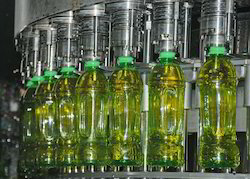 We are manufacturing Edible Oil Filling Machine to fill Viscous Product up to 5 Viscosity up to 200 Bottles Per Minutes. We have supplied the machine to Nigeria, South African Countries, Uganda, Malaysia, North America, South East Asian Countries and Middle East Countries. Please do contact us for further information about our products. 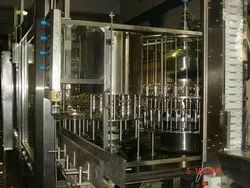 We are manufacturer Rotary Filling and Capping Machine with an output speed of 180 Bottles per minutes, please do contact us for further information. We are manufacturing One Head Vial Filler Capper Sealer Machine for R&D Department having the output speed of 20 Vials Per Minute approximately. 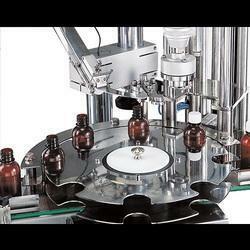 We are manufacturing Automatic Vial Sealing (Crimping Machine) having models ranging from output speed of 80 Vials Per Minute to 350 Vials Per Minute. We have supplied this machine to Nigeria, Uganda, South Africa, Malaysia, North America, Europe and other Middle East countries. For more information as well as technical description please contact us. 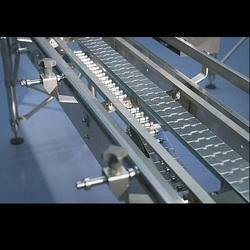 We are a manufacturer of a conveyor for 5-gallon jars too. Looking for Packaging Machine ?